For anyone in California who wants to be among the first adopters of the 2016 Chevrolet Volt, then May 28 is very important. Dealers in the Golden State get to be first to place orders for the range-extended electric vehicle on that day, but buyers in the rest of the US just have to wait a few months until their turn comes. This info comes from dealer data gathered by Inside EVs and confirmed by General Motors to AutoblogGreen. 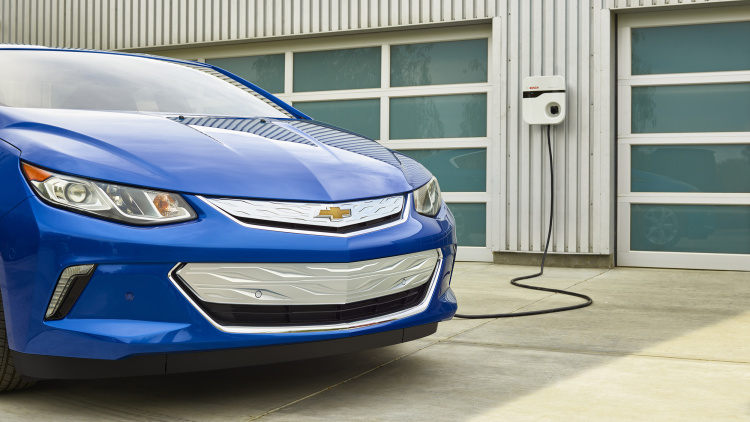 According to these slides, dealers in Connecticut, Massachusetts, Maryland, Maine, New Hampshire, New Jersey, New York, Oregon, Rhode Island and Vermont must wait until August 27 to place an order for the Volt. Finally, the reservations for the rest of the nation open up on October 1. The first production of these new models starts in August after a six-week shutdown at the Hamtramck factory to prepare for it. We already know that the 2016 Volt starts at $33,170, plus $825 destination, before federal or state incentives and is available in seven exterior colors and five interior upholstery options. The sedan is offered in LT and LTZ trims. Opting for the higher level adds features like an upgraded audio system, auto-dimming rearview mirror, front and rear heated leather seats, wireless device charging, and Automatic Park Assist. A navigation system on an 8-inch screen and safety assist suite are also optional, according to these documents.